It’s morning at the quarry. A blue digger collects rubble. A red bulldozer clears a path to the offices. Meanwhile, at the motorway, an engineer surveys the road as a steamroller stands by. At the building site a red digger clears earth, and a workman shovels sand. Want to get to work? You get a board book with twenty chunky magnets to stick onto the magnetic pages. Use your imagination to make the scenes! 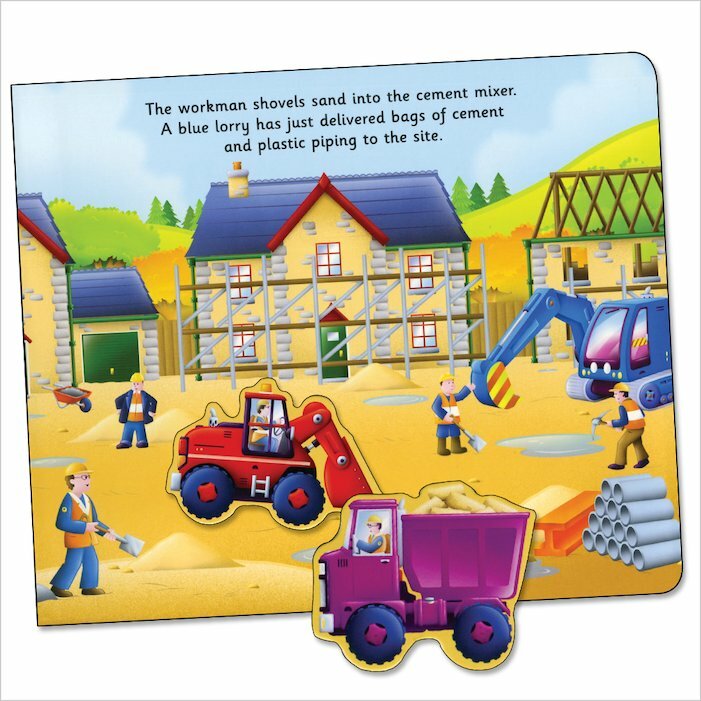 Showing fact-rich, realistic workplace scenes with bright magnets and eye-catching colour artwork, this is smashing stuff for budding workmen and engineers! 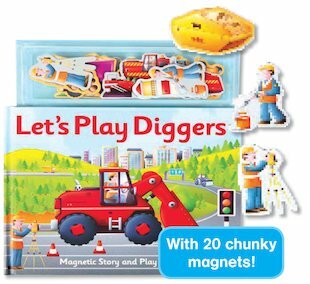 Contents: board book with eight magnetic pages and play scene, plus 20 magnet pieces.